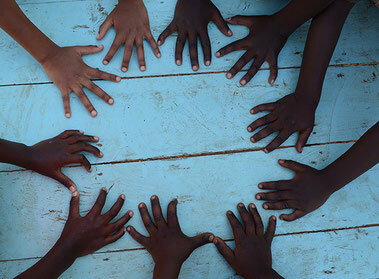 Circle is a non-profit organization which carries out development projects in Third World countries. The association has no political goals or religious agenda. Circle wants simply to improve the living conditions of those who are most impoverished and vulnerable – children, young people and women in particular. The goals are to: build and expand schools, encourage education, reduce school attrition, minimize the migration of young people into large cities, alleviate social ills, lessen crime and fight poverty. In August 2013 members of Circle met a missionary from Cameroon, Father Innocent Akum Wefon, who is active in a region of Western Kenya that has high rates of poverty, crime and prostitution as well as a lack of education and precarious health systems. With 16 million inhabitants 50% of the total population falling below the poverty line, Kenya is one of the world's poorest countries. Circle began working with this young missionary, and is now engaged in a close partnership with him. His mission is located in Luanda, a town not far from Lake Victoria, in Kenya’s Western Region. All donations benefit the specific projects being carried out by Circle. Funds are deposited into a secure bank account to which the local partners have direct access. 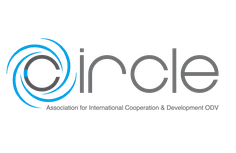 The funds can therefore be used exclusively for Circle’s projects. All members work on a voluntary basis. In the short time since it was founded, Circle has already dedicated itself to carrying out a number of important projects in Kenya/Africa.